Have you ever wanted to rebrand your business? Entrepreneurs are more than aware of the challenges that coincide with establishing a brand identity. Nothing, for that matter, may be more important to a new business than its own identity, especially in a market ripe with competition. However, few are familiar with the idea of rebranding. For better or for worse, many business owners haven’t rebranded, or simply haven’t had the need to do so. It’s worth noting that there are plenty of business that could benefit from a proper rebrand, and it’s up to you to decide if yours is the exception. While rebranding your business has become synonymous with an inherent degree of stigma, it may be one of the best decisions you make — if done correctly, that is. Truth be told, there is a time and place to rebrand your business. 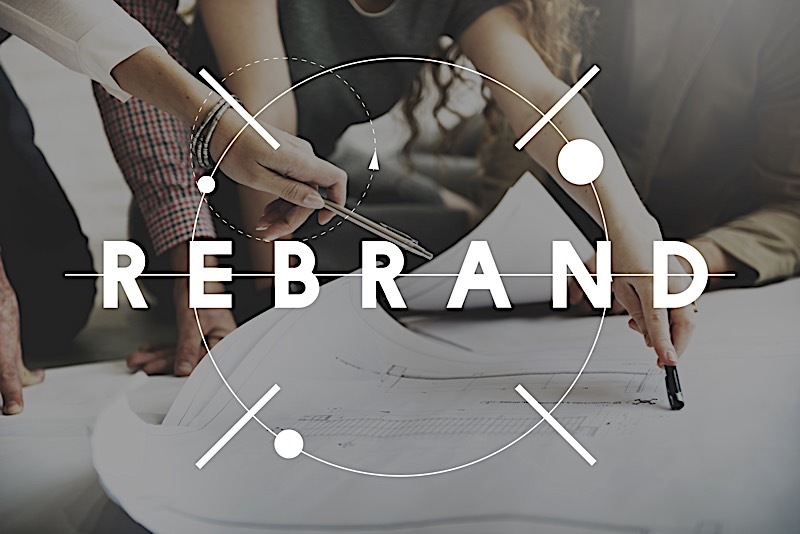 While it may not be the easiest or most obvious solution, successfully rebranding could very easily be the best decision you make as a business owner. If you want to rebrand your business, you should start from the inside and work your way out. Don’t assume a new logo and color scheme will be enough to gain the trust of your clientele. Focus on those matters that are in your control, and everything else with fall into place. Rebranding your real estate brand identity has less to do with the outward appearance of a business, and more to do with the way people perceive the individual in charge. If for nothing else, a great brand sells a person or an idea first and a product second. I maintain that you can’t get where you are going until you know exactly where it is you want to go. I know; far from revolutionary, but nonetheless relevant. Nobody can expect to realize their true potential if they neglect to define success from the onset of their endeavors. What is it you want to achieve? Better yet, how will you know when you have gotten to where you want to be? If for nothing else, success is merely a barometer to identify whether or not you met your goals. That said, failing to establish a goal will render success moot. When rebranding your real estate business, you must know — beyond the shadow of a doubt — what it is you consider success. If you want to rebrand your business, you had better have a good idea of the direction you want to head, or risk repeating the same mistakes that lead to a subsequent revision. In identifying your goal, create a mission statement and/or service vision. In no more than a sentence or two, define the true nature of your company. A mission statement defines what a company does, why it exists, and its very reason for being. Few things are more direct and to the point than a mission statement, which is why it constitutes the first step in rebranding a real estate business. Only once you know why your company exists can you match your branding efforts to its purpose. Your mission statement will serve as a great reference point when your brand truly starts to take shape. Rebranding your real estate business has more to do with rebranding yourself, and less to do with the label that represents your company. That said, rebranding a real estate business isn’t changing your color scheme, but rather a shift in philosophy. Before you can even think about changing your logo, be prepared to change the way you look at your own business. I recommend starting with yourself. It’s worth noting that you will need to conduct an in-depth, unbiased audit of yourself and the skills you possess. Literally ask yourself what skills you will need to realize your perfect rebranding efforts and how you may obtain them. Those that you already have will need to be refined and honed if you are to realize success at the next level. It’s not enough to simply hone your skills, however; you need to carry them out in a way that your clientele will recognize. In other words, those seeking your professional assistance need to know why they are coming to you. Let the masses know what you are good at, and let your brand reflect it. I maintain that the best brands exhibit a coherent narrative; one that explains the “story” of where they came from and where they intend to be. If for nothing else, they will establish a genuine connection between the company and the people it services. Nothing, at least that I am aware of, generates a more trustworthy connection than an intimate relationship. Don’t be afraid to let your customers know who you are, and your efforts will be rewarded accordingly. Only once you let them into your business will they proceed to do the same. With enough time, they will reciprocate the same appreciation you have shown them, and your business will be better off for it. In establishing a new narrative for you company, don’t highlight what didn’t work in the past, but rather the experience your past has awarded you in your new efforts. Remember, it’s entirely possible to learn from your mistakes, and those that own up to what they didn’t do right in the past will build trust with their audience faster than those that conceal their previous transgressions. There is value to be had in a translucent business model, and your new brand could benefit immensely from laying everything out on the table. All things considered, there is only one thing you need to take away from everything I laid out here: Rebranding your business has nothing to do with inventing a new persona, but rather the inherent ability to convince others that you belong where you are at. If you want to rebrand your business, do it the right way: from the inside out.